An inspired party theme is a lot like a good glass of giggle water. Both incorporate quality ingredients, showcase creativity, have layers of interest and complexity, appeal to the senses, and whet the appetite. Ready to imbibe? Read on for five chic and historically inspired warm-weather party themes that are sure to intoxicate your guests this spring and summer. 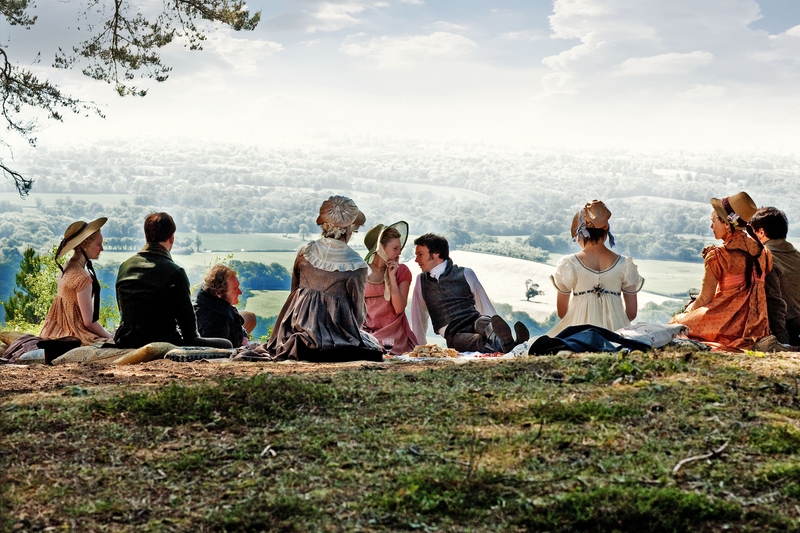 Nothing says warm-weather entertaining like a picnic, and few picnics are as famous as the picnic on Box Hill in Jane Austen's novel, Emma. A fashionable pastime in early 19th-century England, a British Regency picnic makes a wonderful spring or summer party theme. Set lace as the attire, serve Regent's Punch, onion pye, salmagundi, and solid whipt syllabub, and invite your guests to bring a dish for sharing in a traditional wicker hamper like this one. Click here to access these traditional British picnic recipes. A big part of the New York entertaining scene in the early 19th century, ice cream gardens were fanciful restaurants that served sweet and savory ice creams along with other treats, wines and lemonades. Ice cream gardens also featured elaborate floral displays and musical entertainment. 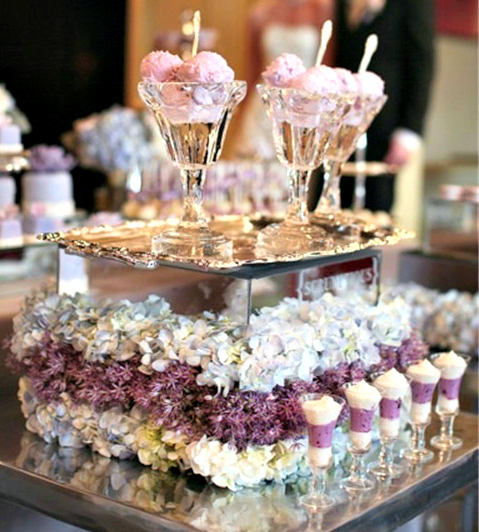 When hosting your Ice Cream Garden Party, offer a variety of flavored scoops like cinnamon, bergamot, rose petal, parmesan cheese, and asparagus, which were all popular flavors of the day, or whip up a batch of First Lady Dolley Madison's preferred flavor: oyster. Serve your crème glacée in cordial glasses like these on an ornate silver tray like this one, and bring in a local chamber music group to set the perfect tone. Click here to access the sweet and savory ice cream recipes. 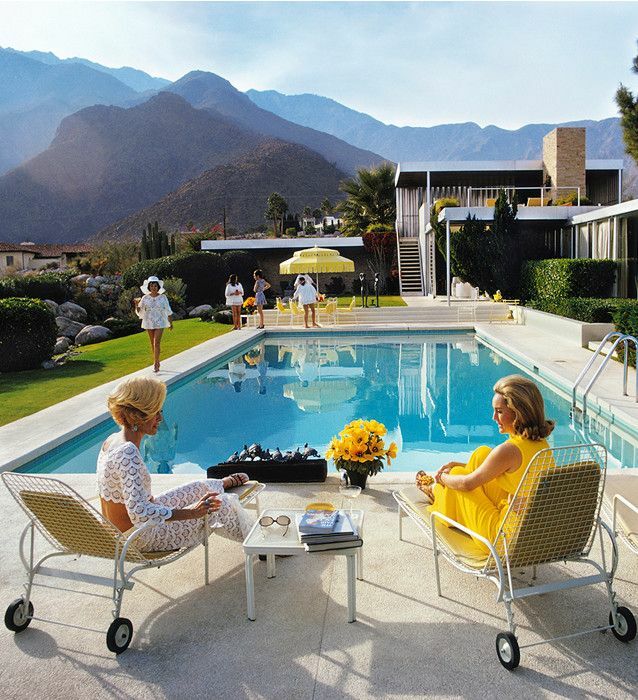 Recreate the retro-chic appeal of the summer of 1970 by hosting a pool party inspired by photographer Slim Aarons' famous "Poolside Glamour" photograph. Shot at a Richard Neutra-designed house in Palm Springs, California, this iconic work perfectly captures the 70s vibe and style that are back en vogue today. Request cabana-chic attire, slip on a pair of white lace palazzo pants, and serve Harvey Wallbangers and pineapple-chicken skewers to the sounds of The Carpenters, Tom Jones, and the 5th Dimension. Click here for fashion inspiration and to access the recipes. Clambakes originated in North America more than 2,000 years ago when Native American tribes in New England cooked lobsters and clams in sand pits lined with seaweed and hot rocks. While there is nothing as beautiful as a clambake on the beach, backyard clambakes at sunset can be just as delightful. 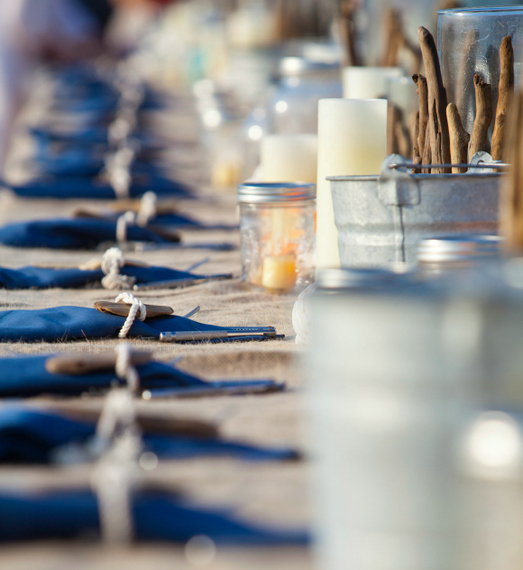 Serve a traditional menu of lobster, mussels, crabs, and corn on the cob prepared like this, and add seaside touches like nautical rope, driftwood, shells, a sandy-textured burlap tablecloth, and cotton napkins like these. Click here to access the recipes and find some great online resources for your clambake. We all know that Dorothy Parker's Algonquin Round Table brought together New York's wittiest writers, critics, and actors for a daily dose of great food and clever conversation. But during the summer, particularly around Dorothy's birthday on August 22, the group would leave the confines of steamy New York and gather for a game-filled party on Neshobe Island, an island in the middle of Lake Bomoseen in Vermont. Play up the theme by inviting a small group of friends to enjoy a sultry summer evening engaging in all the party games Dorothy and her pals played: sunset croquet, cribbage, poker, classic charades, "Wink Murder," "Twenty Questions," and the "I-Can-Give-You-a-Sentence Game," which involved each member taking a multisyllabic word and turning it into a pun within ten seconds. Click here for more information about all the games. For more fête-chic party ideas and inspiration, click here to follow The Salonniere on Instagram. Photo sources from top to bottom: a still photo from BBC's 2009 adaptation of Jane Austen's, Emma; an ice cream bar from Wedding Philippines; "Poolside Glamour" by Slim Aarons; clambake photo courtesy of The Salonniere's Carla McDonald; croquet photo from Style Me Pretty.